To support the Commission in achieving a shift to a culture of proactive on-going performance management and provide active support for a major organisational culture change towards greater matrix and flexible working practices. Over 90% of participants at all levels either agreed or strongly agreed that the programme had achieved its objectives. • 95% of participants at all levels either agreed or strongly agreed that the programme was relevant to their job and needs. • 100% of participants at all levels agreed or strongly agreed that the programme was well delivered/presented. The programme also needed to provide active support for a major organisational culture change towards greater matrix and flexible working practices, including more remote and home working. 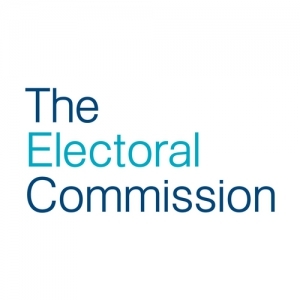 Working directly with the Electoral Commission’s Head of Learning & Development, the senior design/delivery consultant with extensive experience within central government, enabled a rapid turn around and increased flexibility in the programme design. This strongly influenced the development of the Commission’s new performance management process and guidance. An awareness briefing was also delivered for the Commission’s Exec Team. The graphic below illustrates the inexperienced manager programme at high level. After agreeing a detailed project plan GBS used a ‘storyboard’ approach for the presentation of high level blended design documents which clients have repeatedly reported as being clear and concise. The interactive online pre-work for each module ensured that the participants developed an understanding of the underpinning knowledge and theory for the subject, as well as encouraging them to reflect on how it applied to their own role and responsibilities. Consequently the managers ‘hit the ground running’ at their workshops, resulting in sessions that were shorter and more focused on developing practical skills and application – maximising the value of the time spent away from the business. Participants also submitted and discussed their personal learning objectives, helping the trainer to tailor modules to better meet individual needs. Online forums were used to enable and encourage participants to engage with and discuss issues arising from their learning. The action learning sets used to support the less experienced managers are an informal, self-managed learning methodology in which groups of around six managers meet together on a regular basis to address each other’s development, performance and support needs in a structured way.